Want to experience what its like to breath underwater? With Thunder Reef Divers Discover Scuba program you can do this! 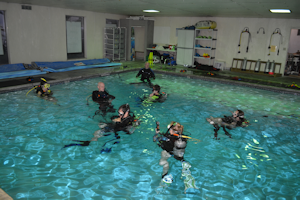 We schedule an open Discover Scuba session every month or if you have 4 or more participants we can schedule a special session on another day or time. Check the shop calendar for the current scheduled dates. 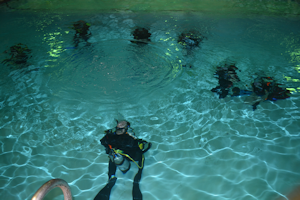 Our pool is built for scuba diving and is 10 feet deep so you can really dive! 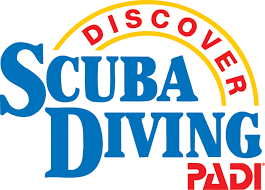 All discover scuba participants will be required to fill out a medical and liability release. If you have any "Yes" replies on the medical form you will need to get a doctors OK before you can participate in the class. Parents or guardians of any minor participants are required to stay on the property while the minor is participating in the discover scuba. Please call 360-573-8507 or stop by the shop to pay for the class. Once your Discover Scuba session is scheduled we are unable to issue refunds if you miss or cancel the session. We can transfer you into a future session for a $20 transfer fee.